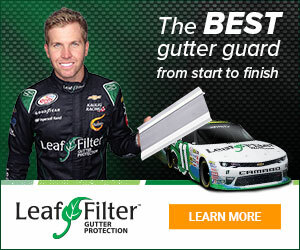 Sep 05, 2016 There are many different factors that go into the price of LeafFilter, such as inside and outside corners on your gutters, number of stories on your home, and if you need gutter replacement. You may have been eligible for discounts and promotions depending on a number of different factors. It also sounds like you were eligible for a discount if there was another sale in your area. Signed up at a trade show for an estimate. They wasted no time getting to the house for an estimate. The gentleman told me he was the ' commercial accounts manager' and that he normally don't estimate but they were very busy and he had to come out. After an hour of hearing him bash and bad mouth every other system on the market he gave me an estimate that basically was about $30 per foot. That is when it began. He said since he was the commercial accounts manager he would put my order in as commercial and give me commercial pricing. Was still way too high ($7300) after another two price drops he called his boss. (Beau- I think it was) Beau said he was gonna 'bundle' my order in with a big order he was placing but I had to agree to let them install my system the next day. Now how are they gonna order my material with another and install the next morning? Any way he dropped the price to what was about $10 per ft. This I feel is very shady and asked them to leave. Review #482425 is a subjective opinion of User482425. It is shady. There is no price per foot. They get you for what they can.